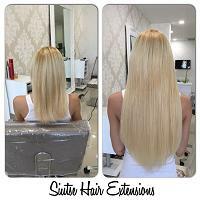 SIUTSE HAIR EXTENSIONS we welcome you to experience the most unbelievable, natural hair extensions techniques on the market today we create extensions with human remy hair, that are invisible and non damaging to your natural hair. Our team have a distinct eye for detail based on our client’s needs., We are a hair extensions technicians and Stylists with over 12 years experience so we are able to cut and blend your hair extensions with a professional style giving you the most natural and undetectable finish. 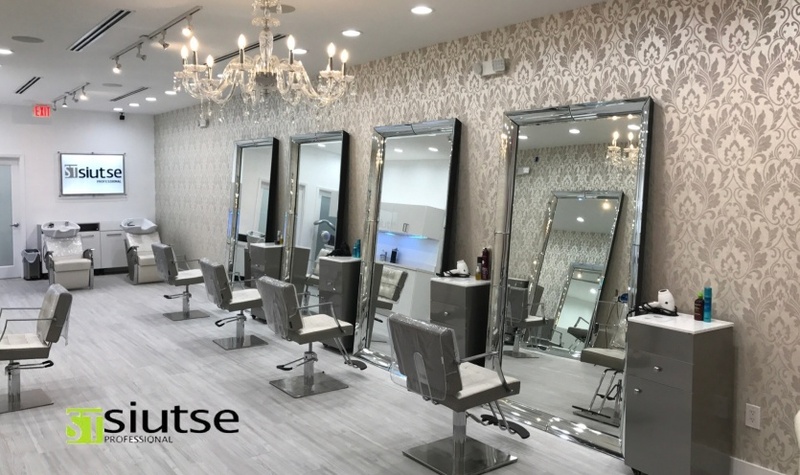 SIUTSE HAIR EXTENSIONS SALON & STORE in Miami we have in stock over 20 colors and different lengths to satisfy any client need and be sure of the quality of the hair. Call us today at Coral Gables (305) 4562989 to make an appointment and experience the outstanding quality and incomparable level of service that we provide. 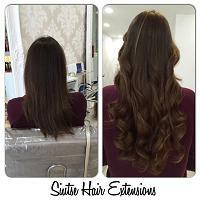 At Siutse Hair Extensions our experienced stylists are professionally trained and inspired by the latest techniques of hair extensions. 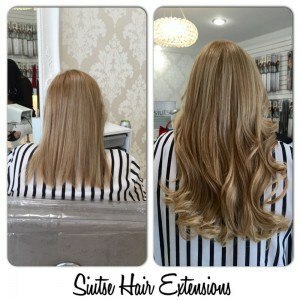 We offer a range of hair extensions such as seamless tape system, keratin system, weft hair , keratin treatment and more. Don’t wait any longer, get the hair of your dreams ! The Best Hair Extensions Available Now at our Miami Salon! hair extensions using the best technique for hair extension system. We are a Clip-in hair extensions Miami Salon. Our Clip-in hair extensions Salons are composed by professionals to help you with the extensions. with the best products because you are very important for us. best hair extensions salon Miami ! Having properly maintained hair is the ream of every woman. It’s regarded as every woman’s biggest asset too. Then, there are a good number of women who feel a little bit unhappy with how their hair looks like and it could be in terms of colour, curls or even texture.That does not have to be a worry. Being the best hair extension salon Miami, our outstanding hair extension services will make your hair achieve that colour, length and texture that you desire. We guarantee you that your hair will have the best total makeover that will last for a good time depending on your hair. 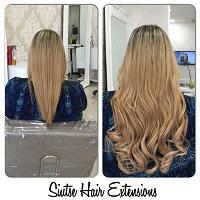 As the best hair extension salon Miami, ! our hair extension services will help you get over the discomfort you may be experiencing with your hair an example could be balding spots that you may wish to camouflage, which in most cases could be as a result of age, pollution or even undesired chemicals you may have used before. services to its clients all over the place with the best quality work and at affordable prices. We specialize in hair extensions amongst other services regardless of whether it is straight hair, wavy hair or fusion pre-glued hair. There is no doubt that there are various methods of carrying out hair extensions, however, we are best hair extension salon Miami with professionals that have years of vast experience. So, by visiting us today, there is absolutely no fear of hair damage that will result out of our procedures. Do you wish to get the best hair style in Florida, then, increase the length and quality of the hair but have it short, thin and dull hair? Hair is the solution which can fulfill your dreams. Hair extensions are becoming prominent among people who cannot wait for growth of naturally. There are various extension salons in the city but you need to pick the best one for your. So, let us know about the extension and best extension salons. What are best miami hair extensions salon florida fl ! Who can avail the benefits of hair extensions? ! People who are suffering from loss or thinning problem due to some health problem can also go for the extension procedure in our miami salon. With this procedure, people suffering from above mentioned problems can be confident and enhance their personality. Not only women but men can also avail the benefits of hair extensions. Many celebrities also get to meet the demand of a movie role or for the personal desire as well. Extensions have become much more practical and affordable for every customer whether he or she is a celebrity or a common man. When you are done with your extension in a salon, you need to keep the extensions as new as it was the very first day of application. Follow some hair extensions care tips which are described in some sites because the better you care, the longer they will last. 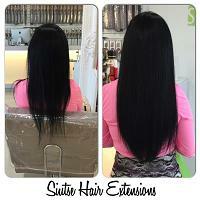 clients to get the best hair extensions hairstyles in florida fl. Our passion is to offer hair extensions salons Miami services. 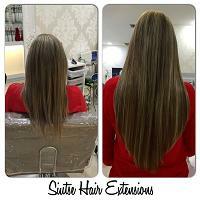 salons providing you best hair extensions in South Florida. Best clip hair extension salons ! The reputation of the best extensions salon depends on its number of satisfied customers. The more satisfied customers, the more trustworthy are its services. Second, the number of awards the salon has owned. You can go through the customer reviews to know about the amount of satisfaction of the customers in the hair extensions salon in miami. Hair natural extension in fl ! comes in a huge variety of natural colors like brown, red, black and texture including straight, wavy and curly. It is a great way to add color to your without changing the actual color of your hair. Then, give you an opportunity to treat your only to the best extensions salon in miami. Your hair is your pride so trust the one which you think is worth trusting. If your hair isn’t the way you want it to be, in consequence you just cannot seem to be able to make it grow to your liking or maybe it has always been that way, you wish to explore hair extensions in miami, if you haven’t already tried them. Not only have they become extremely affordable at most hair extensions salons, they are also incredibly natural looking and give you the perfect look. 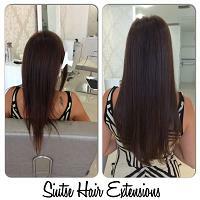 hair extensions salons in Miami ! One. Real Hair: the Hair extensions made out with real hair are the only ones worth your money, because artificial extensions just don’t look as natural. 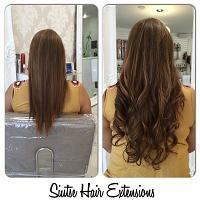 You must only try out salons that offer real hair extensions. Look for a long variety of beautiful colors and lengths, where you can find the ones that perfectly suit your needs. Two. Great look and invisible attachments: Always ask how visible your extension attachments are gong to be. Ideally, you do not want them to be visible at all. Most good hair extensions salons will do a good job to ensure that your extensions are invisible. You must always check for salons that have experienced professionals as they will do a great job of ensuring that the extensions are attached perfectly without being visible. Three. Extensions that do not damage your real hair: It is important that your natural hair remains undamaged. You don’t want hair extensions to damage your natural hair in any way. Extensions should be easy to remove as well as easy on your natural hair. Remember that Great extensions and perfect attachments usually ensure that your natural hair is not harmed. Hair extensions make you look great and make you more confident and bold. These three tips will help you, the next time you are going to look for the best hair extensions salon in Miami. carefully with what services they want to have done. a dynamite job with someone at any age, of any group, and may offer hair services such as haircuts, colorings, perms, and styling the coiffures of clients. hair and dub themselves full-service salons. Full-service salons can pamper you with haircuts, hair color correction,hair color, perms, reconditioning, tanning,permanent makeup, manicures, and pedicures. is the perfect place to get any of these services done. You may come across a hair salon Miami that is referred to as a day spa. These hair salons perform services that can be accomplished with just a bit of time, in the middle of the day. to correct a wide variety of hair issues, including color disasters and treating brittle, dry, broken hair. These salons are great to get more intense help for hair problems. Another great type of Miami hair salon are those hair salons that specializes in hair extensions and artificial hair pieces. The professionals that work in this type of hair salon not only have to be experts with a steady hand and a lot of patience, but they are also required to be color experts, matching the artificial hairs color exactly to that of the natural hairs color. If you are not sure where to look or how to start to find the perfect hair salon in Miami for you, call some local hair salons in miami establishments to have a professional offer you a consultation to talk to you more about what they can do for you. Discovering the many types of services available and making sure you choose the right place to attain a new look is tons of fun when it comes to choosing a hair salon Miami style! and Stylist in Miami Florida.